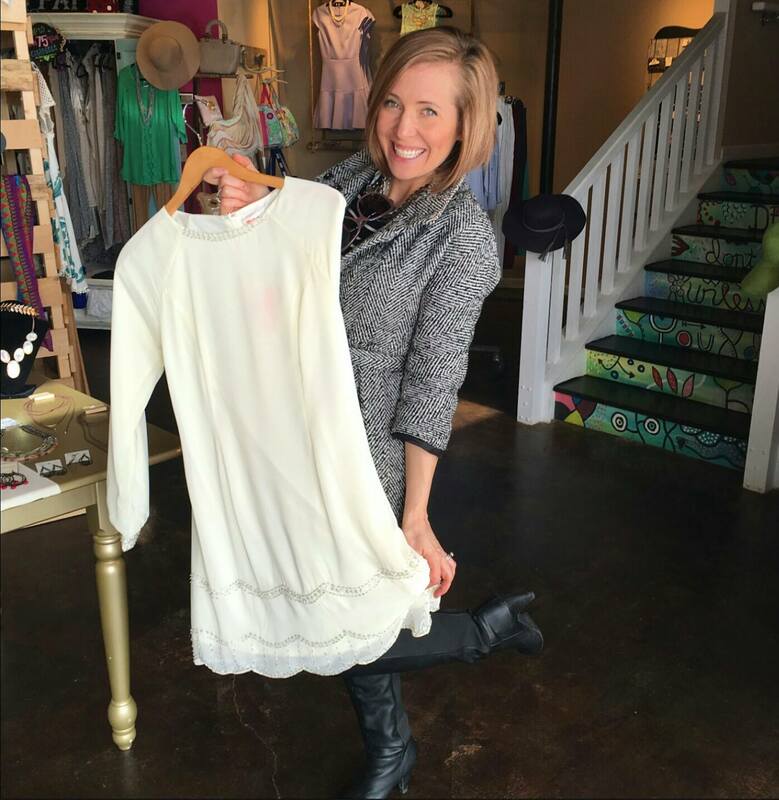 Alright my fashionista friends, you have to check out She’s All That Boutique, NKY! I just got my dress for 2016 Night in White there! Not only do they have SUPER cute clothes (dressy and casual, shoes and accessories) but ALL of their proceeds go to giving local girls in need scholarships to college! How amazing is that?! I’m obsessed with this new Ava Gray Direct Necklace/Bracelet Combo I got from Amy Elberfeld who just did a lunch ‘n’ learn with Cincy Chic. So many ways to wear it! A necklace with doubled up beads, a necklace with a single strand of beads and a bracelet, or stacked bracelets. Pretty cool! Watch this video I made that shows how easy it is to switch it up! Visit her “Styling with Amy” site if you’d like to learn more about her and her fab stuff! Metals: A New Fashion Trend! Miss Em’s will be one of our fab vendors at our Seasonably Chic Showcase on Nov. 7… THAT’S THIS SATURDAY! EEEE! It’s free to get in when you bring in a canned good, and that gets you a free swag bag, complimentary gift wrapping, and shopping with 45+ vendors! So exciting! Click here to learn more! I was recently boutique shopping in Columbus, and came across a shop full of Turkish clothing, accessories and gift items. Pretty much everything in the store had these little eye things on them. I asked the store owner what they were, and she said they’re called a “Nazar,” and many cultures believe it protects against the evil eye. So I thought, “Ok, ok, universe. I get it. 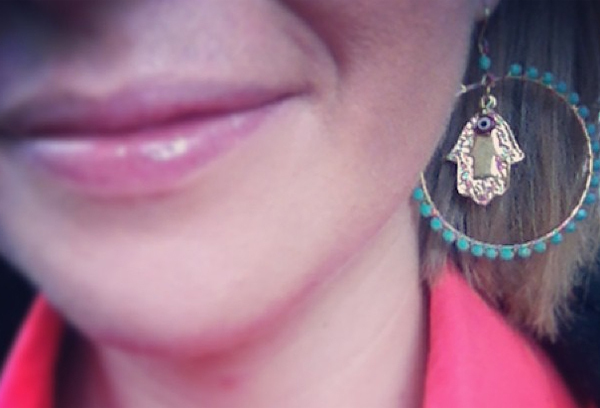 I need to get one of these evil eye warding off thingies.” I went to the Blee Inara site, and found so much gorgeous jewelry featuring the Nazar – from earrings, rings, bracelets, necklaces and earrings – but I knew I’d wear the earrings the most. So I went with these beautiful beaded circle earrings. They look much more turquoise in person than the picture shows, which was great news to me. They go with so much! I first wore them with a coral colored top (pictured above), I’ve also worn them with an LBD and t-shirt/jeans so they can be dressed up and down. I just thought I’d blog about these since the Nazar has such an interesting story and deep-seated history in so many different cultures. You’ll honestly see them all over now that you know what they are! And hopefully, if you get a Nazar, you’ll see fewer evil eyes!